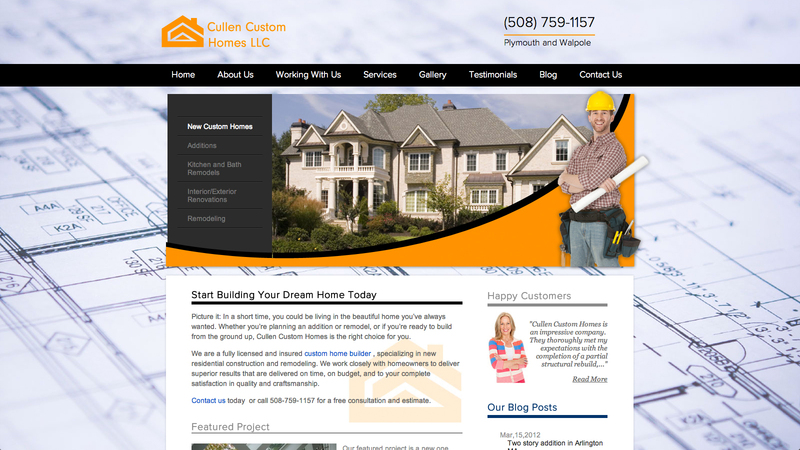 Cullen Custom Homes LLC provides Massachusetts with home building services, renovations, remodeling, and additions. Our team has provided this client with a beautiful modern design that includes custom fonts. A blog feature helps leverage search engine visibility. Visit this Massachusetts builder website.